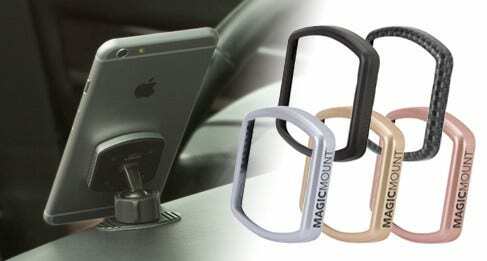 MagicMount™ is an award-winning, innovative magnetic mounting system for conveniently mounting smartphones, tablets and other mobile devices to a wide array of surfaces. 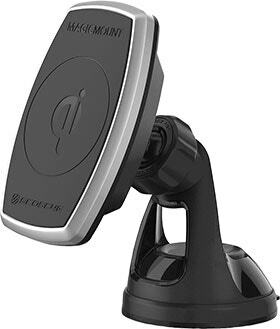 The Pro series includes this dashboard phone mount. 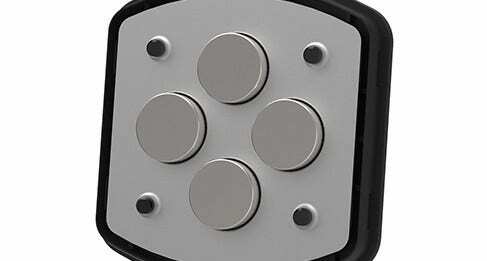 Once the MagicPlate™ is applied as shown further down this page just hover your device near the magnetic surface and it instantly locks securely in place. The sleek cradle-free design works perfectly with larger devices and allows you to position your screen for optimal viewing. The MagicMount PRO brings the mobile device mounting system to a whole new level with interchangeable trim rings. A Realtree and Black trim ring is included with your purchase. Not your colors? Apple device color match trim rings Space Gray Gold Rose Gold as well as Carbon Fiber will be available for purchase. 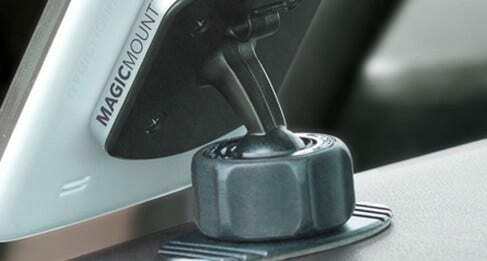 magicMOUNT PRO Dash features magnets that are 30% stronger. 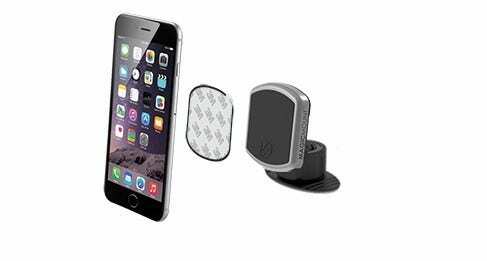 These powerful earth magnets hold your device securely in place even on the bumpiest roads and are 100% safe for Smartphones Tablets GPS and many other devices* . *Does not work with iPod Classic or other hard drive devices. The strong magnetic fields produced by these Neodymium magnets is enough to damage hard drive devices. Being able to angle your smartphone just how you want it is easy. With a 360° swivel mount and soft rubber locking nut adjust your MagicMount precisely to the angle of display that works best for you to view. 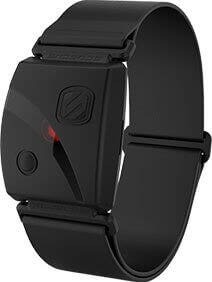 Whether on your car dashboard work desk or nightstand get the perfect position.